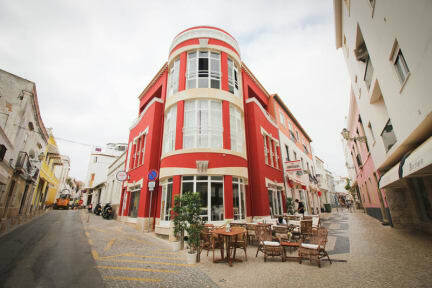 Camone Hostel, Lagos, Portugalia : Rezerwuj teraz! The CamoneHostel is for all those who find the Party Hostels too noisy and the hotel rooms too impersonal and lonely. Modernly equipped and carefully decorated, offering a comfortable and high quality in a relaxed and friendly atmosphere. We are located in the very heart of Lagos Old Town, just steps away from the best typical local restaurants, trendiest bars, cultural center, marina, picturesque shops, supermarkets, pharmacies and all the amenities that you need to make your holidays a wonderful and unforgettable time. Some of the most beautiful beaches in the Algarve are within walking distance and our amazing crystal clear water’s bay is just minutes away for you to enjoy. Every morning we invite you to enjoy the sunshine on our amazing top floor terrace where you can find a variety of programs like Yoga & Pilates, and in the evenings you can have fun and delight yourself, all in a relaxed and familiar atmosphere. You can also have fun in different water sports, from surfing lessons, S.U.Paddle, Windsurf, Kayak Tours, diving, snorkeling, day boat trips, grotto trips, bike or car rental, horse riding, wine tasting and much more. Everything can be booked at reception. The comfort, well-being, safety and high satisfaction of our guests is our priority, so we have gathered up a team of excellence, attentive and permanently available to serve, advise and help our guests on the very best Lagos has to offer! We have 2 mixed dormitories, with 6 beds, (all of them with air conditioning) and 3 female dorms, with 5 or 6 beds. A total of 28 single beds, distributed in 2 floors. All decorated with the “Sea” theme. All beds have bed linen, bath towel, individual locker, individual reading lights and double socket. The Continental Breakfast, included in the daily rate, is served in the common room, which has a kitchen with all the utensils that you need to prepare your own meals. 24 Hour Reception only available from 21 of June till 22 of September. Great hostel, the best in Lagos! Wonderful staff and beautiful rooms. Definitely will be back! !